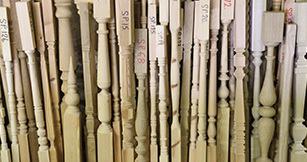 Turned staircase components such as spindles, newel posts and newel caps are a large part of our business. We offer a wide range of designs, from traditional to contemporary and we can even help you design your own creation. 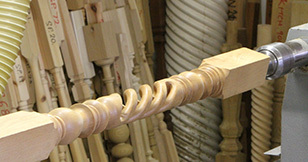 We can also supply hand and base rails for your staircase.